July 2nd was a busy day at our library. We kicked off the TD Summer Reading program with a SPLASH of COLOUR. This is a great program to run in the summer because it is low cost and you need little supervision. We ran this program all day and had over 25 kids that participated. This year’s theme for the TD Summer Reading program is GO! 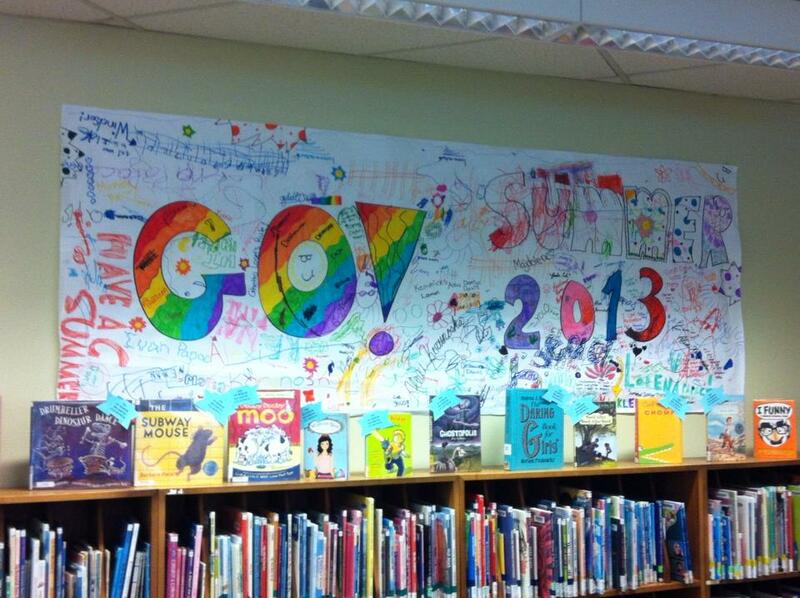 and that was the theme for our mural. I gave the kids a little guidance and wrote “GO! 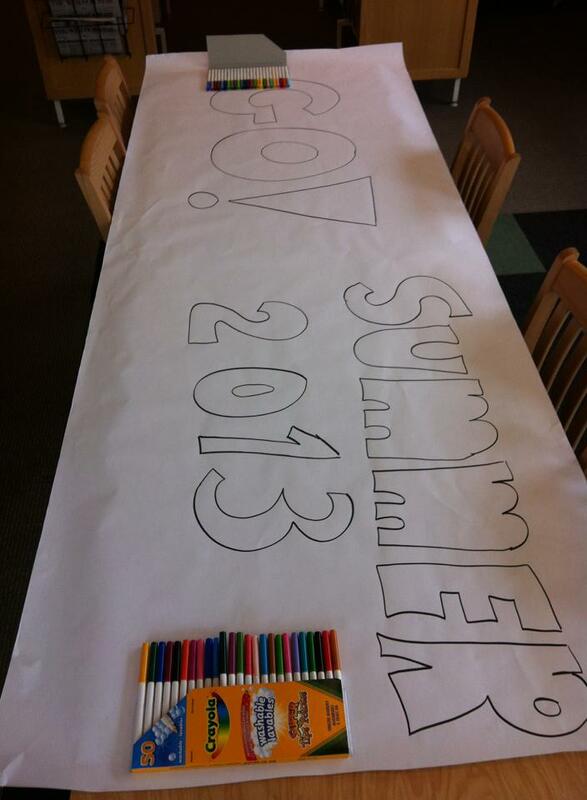 Summer 2013” in block letters across the mural paper. We set out Crayola Washable Window Markers so the kids could write on the windows. If you want, you could always use paint (tempera paint mixed with a little bit of dish soap) – but is a bit messier to deal with. Markers were also put on the table so they could scribble on the mural.